55 Value For Money Better Options? If you own Samsung Galaxy Ace NXT SM-G313H, please do leave your feedback too. 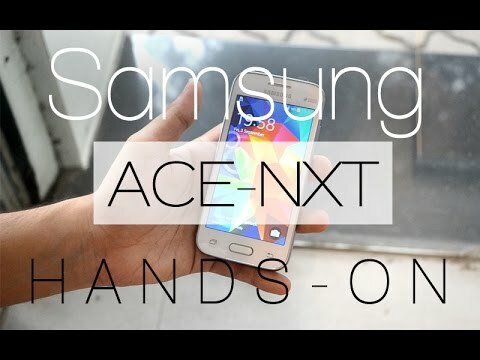 Samsung is known to sell a slew of phone models in India and Samsung Galaxy Ace NXT is just one of them. This dual-SIM phone is priced at Rs.7000. The Samsung Galaxy Ace NXT has a 4 inch display with the resolution of 800x480 pixels which takes the pixel density to 233 PPI. The phone comes with 4GB internal storage which can further be expanded to 32GB by using a microSD card. It has a rear camera of 3MP but does not have a front camera. The low end of the market in India loves dual SIM phones and this phone should be very popular due to that. The Xiaomi Redmi 1S is priced a bit lower and also has a front facing camera, so Samsung may lose out on customers who want a front camera. One looking to buy this phone can also check out the Moto E or the Micromax Canvas A1 .